OTTAWA -- The first punches in what promises to be a bitter fight over Canada's protected dairy industry are expected to be thrown during this week's third round of North American Free Trade talks in Ottawa. The U.S. dairy lobby says it wants the elimination of Canada's supply management system — which slaps imports with a 270-per-cent duty — and it says it has the support of its government as NAFTA talks begin in earnest. The Canadian industry isn't backing down and accuses the U.S. of giving its farmers unfair subsidies, while politicians from Prime Minister Justin Trudeau on down have sworn to protect the much-maligned system that strictly controls the amount of foreign dairy products flowing into the country. Jaime Castaneda, senior vice president with the National Milk Producers Federation, said American dairy producers had tolerated the existence of supply management, but Canada went too far when it a created a new class of milk. Now, Castaneda said, the U.S. industry has formed an alliance with Mexico and their goal is nothing short of the full-scale destruction of supply management to solve their problem with that. The spark was the invention of new milk protein ingredients known as diafiltered or ultra-filtered milk. They are not subject to NAFTA tariffs because they are a recent invention, so U.S. dairy producers began exporting them at a low cost to Canadian processors. Canadian producers cried foul, saying that was costing them $200 million a year in lost revenue. The Canadian dairy industry reached a deal to sell the protein ingredients at a discount and Canada created a new class of milk to allow it, undercutting the U.S. efforts. 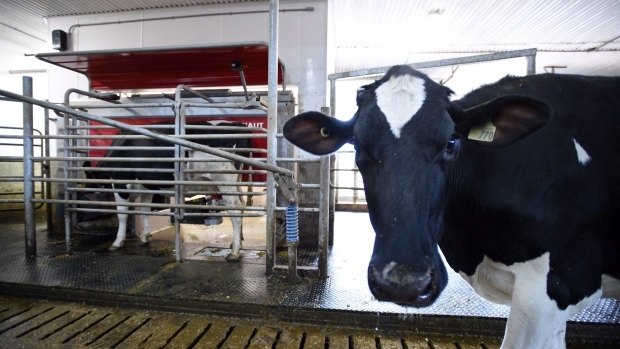 That enraged U.S. dairy farmers and caught the attention of U.S. President Donald Trump, who blamed Canada for driving Wisconsin dairy farmers out of business with unfair practices. "The only way we believe we can address that issue is the complete elimination of the supply management system, the complete elimination of all tariffs and the complete free flow of dairy products among the United States, Mexico and Canada," Castaneda told The Canadian Press prior to his arrival in Ottawa. Castaneda said he realized this is "very political in Canada" but the time has come to end a system where you "have a cartel imposing higher prices for consumers in Canada," and that has faced widespread international criticism. "Our government has heard us loud and clear about this issue," he added. The response from Canada's dairy lobby was, essentially, bring it on. Yves Leduc, director of international policy for the Dairy Farmers of Canada, said American legislation guarantees tens of billions of dollars in subsidies and support to the U.S. agriculture industry. "It's double standards here," he said. "They're getting all kinds of subsidies that allow them to be competitive in the world markets. Having that advantage, they want to have access to our market." Agriculture Minister Lawrence MacAulay and Andrew Leslie, the parliamentary secretary to Foreign Affairs Minister Chrystia Freeland for Canada-U.S. relations, are to meet agricultural sector representatives Monday in Ottawa to discuss the NAFTA talks. "Dairy trade between Canada and the U.S. massively favours the U.S., by a ratio of five-to-one," said Guy Gallant, MacAulay's spokesman. "Canada is the second-largest export market for U.S. dairy products, surpassed only by Mexico. We will continue to support our dairy farmers, supply management system and all of our agricultural interests." Dairy has been targeted in other recent trade negotiations. Under the now defunct TPP, which Trump torched, Canada would have raised the amount of foreign dairy entering Canada by 3.25 per cent. That angered the Canadian industry and forced the previous Conservative government to table a multibillion-dollar compensation package. Canada also agreed to accept more European dairy products under the Comprehensive Economic and Trade Agreement, most of which went into force last week under what is known as provisional application. Castaneda said the Canada-EU pact has undermined the U.S. and Mexican dairy industries because it allows for geographical indications which provide the EU exclusive use of cheese names such as Asiago, Gorgonzola and feta. "Obviously, Canada is going to tell us, 'Hey there's nothing I can do, I already have an agreement with Europe'," he said, adding that his organization might launch a WTO challenge of those CETA provisions. Peteris Ustubs, the EU ambassador to Canada, shrugged off any potential challenge to EU's geographical indications in trade deals. "This is established EU policy," he said. "We have geographical indicators in all our EU trade agreements. We will continue to use geographical indicators."